Associated Artists of Pittsburgh (AAP) presented their 94th Annual Exhibition. 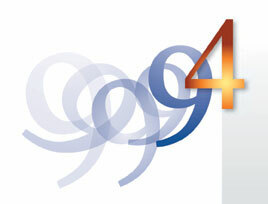 2004's annual includes 158 works by 53 artists, selected from over 525 works entered. As usual, the show included sculptures, paintings, drawings, photographs, prints, and installations in a variety of styles representing some of the region's finest artists. 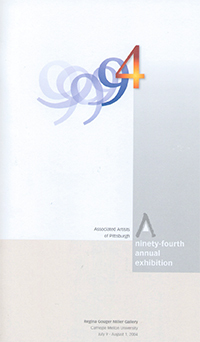 The juror for 2004's exhibition was Renee Stout, an artist/lecturer who lives in Washington, DC. Stout grew up in Pittsburgh and is a graduate of Carnegie Mellon University. Her work has been shown nationally and internationally, and she has won such prestigious awards as the DC Mayor's Art Award for Excellence in an Artistic Discipline and the Pollock Krasner Foundation Award. Stout has participated in many juror panels in DC, New York, and Philadelphia. Founded in 1910, the AAP is one of the oldest continually exhibiting visual arts organizations in the country. AAP is a non-profit artist-run organization that exists to support regional artists through contemporary visual artsand educational outreach programs which contribute to the cultural vitality of the community.